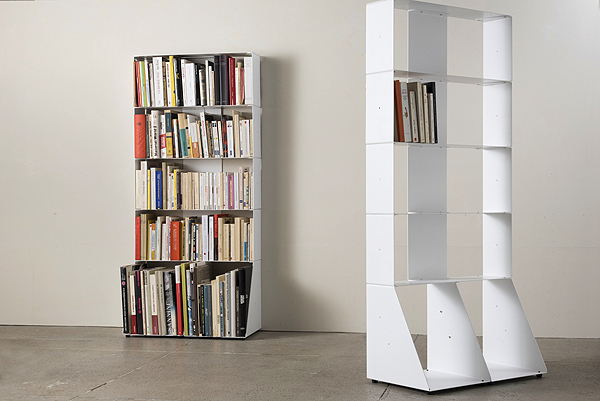 With two new bookcases designed for books or CDs, Mauro Canfori, artistic director and founder of TEEbooks, pursues his quest to create the most invisible and universal shelves at the best possible price. 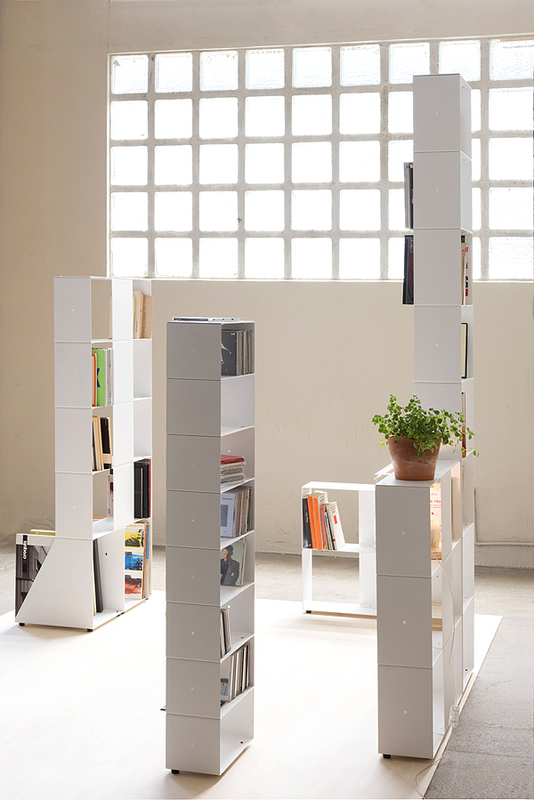 The modular system comes with or without a stand, exists in two widths and may be mounted onto the wall, prolonging the height of the shelves. 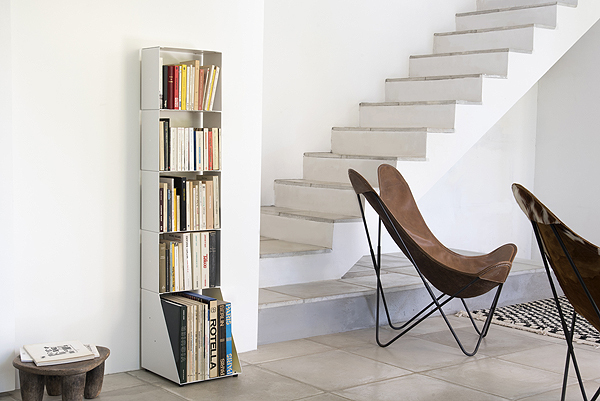 Adjustable, the two foldable metal bookcases are made in Italy, available only in an evanescent white so as to melt into contemporary interiors. 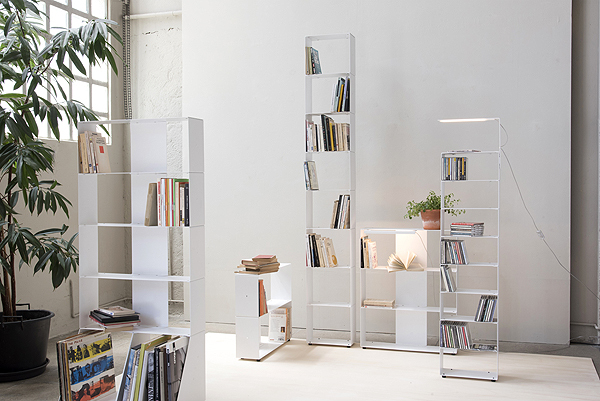 TEEbooks was founded in 2010 as the most simple and invisible mural shelf system on the market. It is made entirely to serve books, DVDs, CDs, small objects… “Many shelves and bookcases exist, yet none seek to make themselves forgotten. I had in mind a design that would be truly humble, functional and durable.” says Mauro Canfori. TEEBooks like the golfer’s Tee, a small T-shaped object, fundamental for the game yet made to not be seen, to not get in between the golf ball and the club. A discrete object made purely to serve a function. Produced in Italy, the collection is sold exclusively online at www.teebooks.com and became an immediate success. In 2017 alone, 60 000 TEEBooks shelves were sold. “Following my first adventure as a producer of design objects, I no longer wanted to pass through the conventional distribution route within stores. In 2010, the Internet was mature enough as a platform for the online distribution of objects. I merely needed to draw simple products so that the consumer needn’t ask themselves any questions from behind their screen”. One single material (metal) for single usage (shelving) at a good price. The range goes from 50 to 400 euros depending on the composition. With an image and a line of text you know exactly what you buy, there is no need for you to go and see it in-store in order “to get a feel for” the object, explains Mauro Canfori, who’s passion for plants, and inspired by the success of TEEbooks, promises new projects very soon.